What's Chinese New Year without Barbecued Pork aka Bah Kwa? The fragrant and savoury slice of meat is one of my family favourite and it sure is interesting how we can include something so sweet and yet savoury into cookies. I was baking more of the Pineapple Roses for Chinese New Year yesterday and I had some dough left. So with Gwen's inspiration, I baked some Bah Kwa Cookies that melt-in-the-mouth using the same melt-in-the-mouth dough used for the Pineapple Roses. Using a higher temperature, these cookies browned faster than that of the pineapple roses which were pale. These cookies are crunchy on the surface but melts in the mouth. The bah kwa gives a really good salty/savoury chewy texture. Also, being tiny in size, these cookies are really easy to pop and savour in one mouth. Try these cookies today! 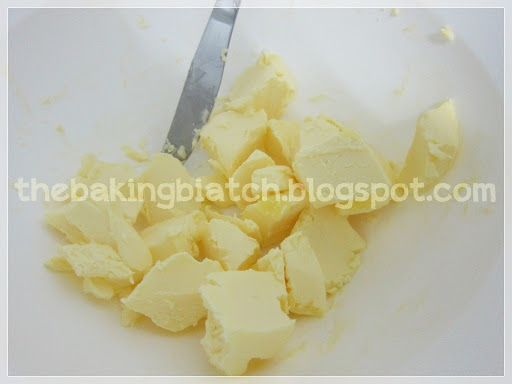 If you want really good buttery cookies, use good quality butter. 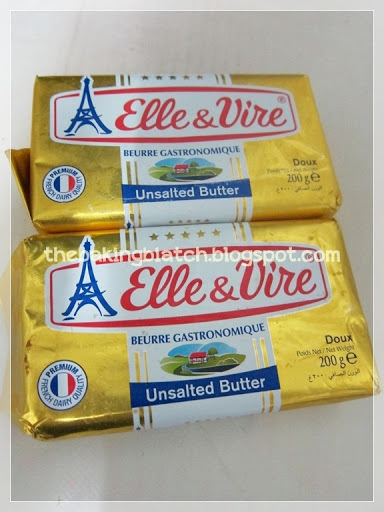 I got my Elle & Vire (unsalted) from Cold Storage, 200g block for $4.50. Totally worth every cent when you taste the good stuff. Leave the butter to warm to room temperature. Or if you're as impatient as me, cube them into smaller pieces and it will warm up sufficiently in a matter of minutes. 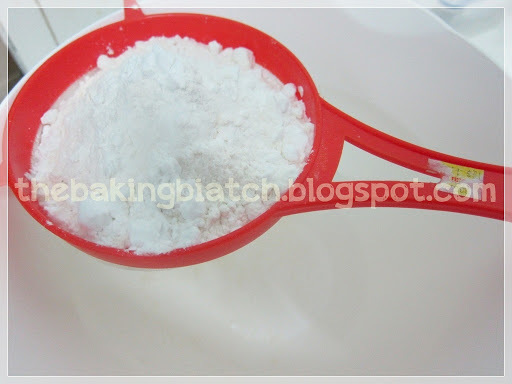 Sift the flour and the corn flour together. 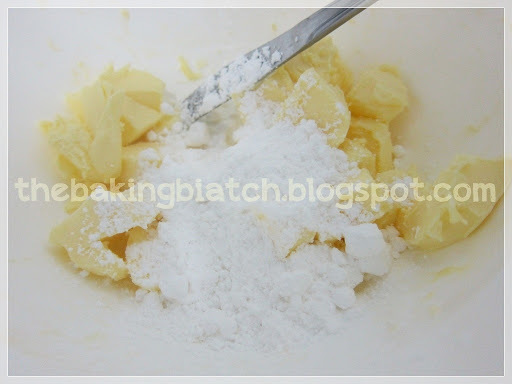 To the butter, add the icing sugar. 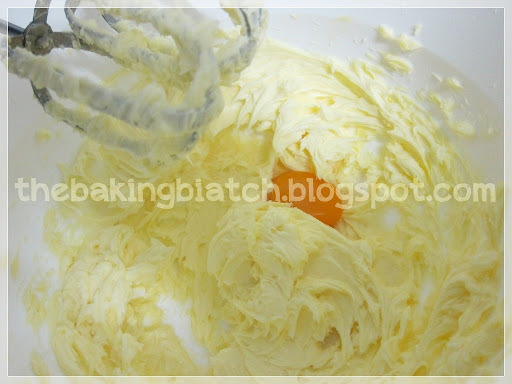 Cream the butter and sugar till light and fluffy. This should take about 1-2 minutes on high speed. 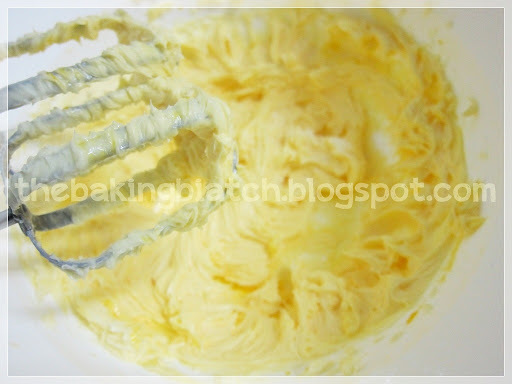 Add an egg yolk and mix well. Add the other egg yolk and the salt and mix well. 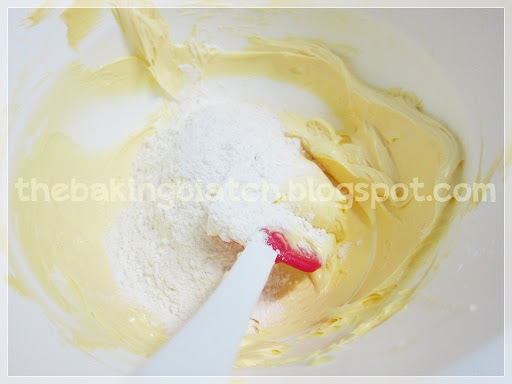 'Loosen' up the mixture by stirring it to get a smooth consistency. I used a spatula. 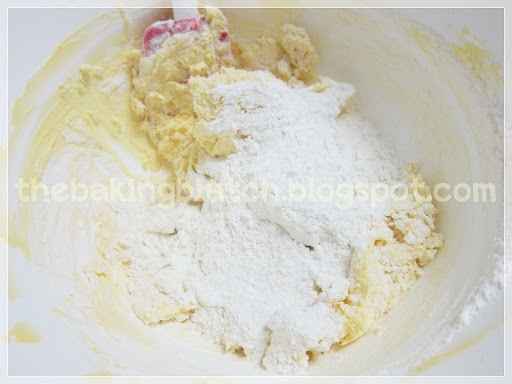 Then, add 1/3 of the flour mixture and mix well. 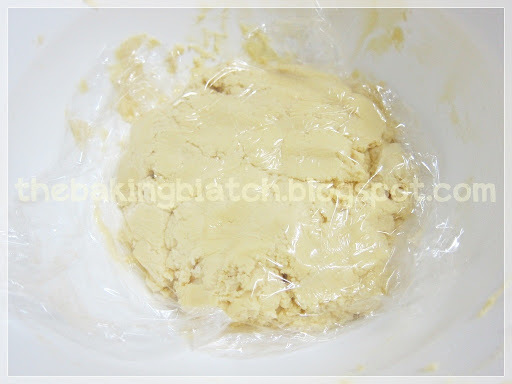 Cover with cling wrap (on the surface of the dough) and leave to 'firm up' for 30 minutes in a cool and dry place. Preheat the oven to 180 degree Celsius. Dice up the bah kwa into tiny pieces. 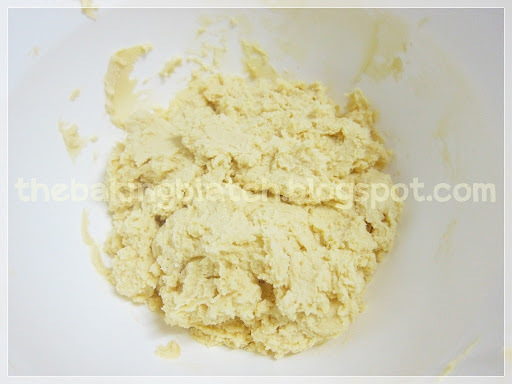 Add the dough to the bah kwa. 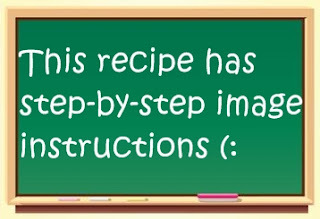 This is about 1/10 of the recipe. 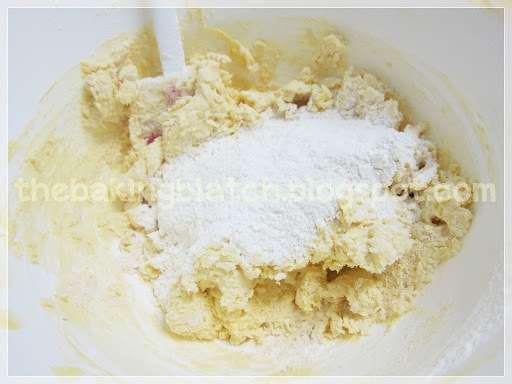 Mix the dough and the bah kwa together by hand. Roll the dough into small balls (mine were about diameter of 3cm) and place on Silpat or greaseproof paper. 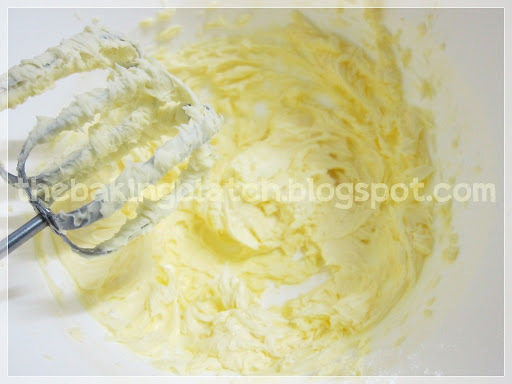 Using a fork, press down the cookie to form lines. Ready to be baked! 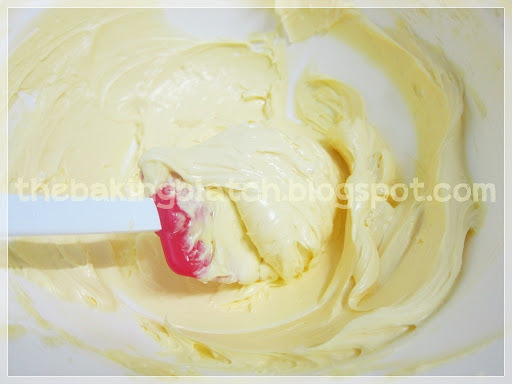 Bake cookies for 17 minutes or till brown. Allow to cool before storing in an air-tight container. So, bake some of these simple Bah Kwa Cookies today to share with your loved ones today! May I ask u bake them at wat temp? Thx! Hi dear, how long can I store the cookies? Same as cornflakes cookies n pineapple tarts? Thanks. Can I check if the cookies r suppose to be 松脆 kind or hard kind? it's meant to be crunchy on the outside and soft on the inside. What shld b the texture of the cookies? Hard or 松脆?